What a great ambience it creates with the soft glow and gentle heat of a fireplace. As written in a poem by Clement Moore, ‘”Twas the Night before Christmas,” decorating the fireplace for Saint Nicholas’ arrival that signifies Christmas Day is almost here. The festival season becomes bright with Christmas mantel decorations, such as garland, stockings, candles, wreaths, and Joy Sign which makes family ready for the holidays. Your fireplace mantel is the most sought after place to add some instant holiday cheer because it is one of the first places that guests are drawn into upon entering the living room. That makes it extremely important to decorate your fireplace mantle with Christmas decorations. 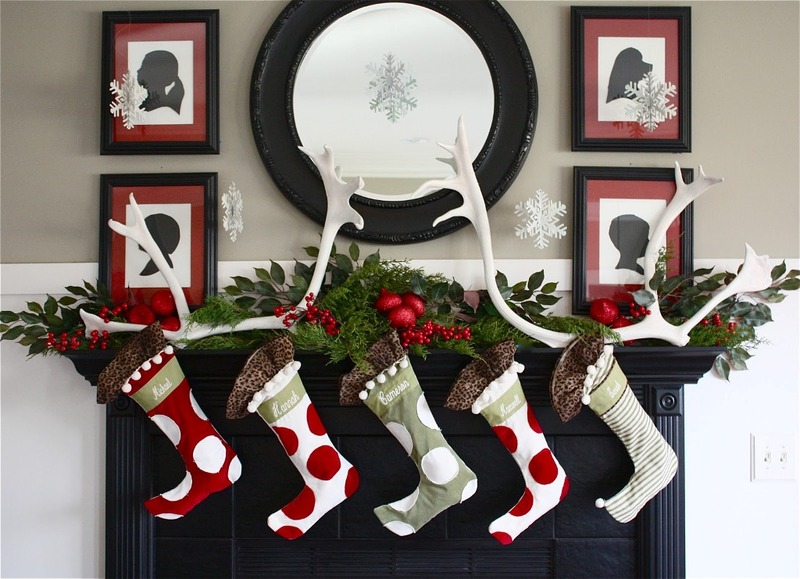 Stockings are hung by the fireplaces that come in traditional designs with a choice of red, green or beige colors. Most popular amongst all are needlepoint and tight-knit stockings covered in embellishments, Santa toy, bears, snowmen and the jolly old man. For a more formal look, cotton velvet embroidered stocking has intricate patterns of reindeer, snowflakes and vines etched in gold. If DIY art becomes your aim, you can consider various themes to decorate your Christmas Mantel. Stocking Holders are used to hang the stockings along with the other Christmas mantel decorations. Christmas mantel can be made from decorative yet practical, mantel hooks that offer a quick way to dress up a room. It looks amazing to enhance it with Dazzling shiny stars, sayings about peace and hope, or one of a dozen cartoon characters beckon a family to grace the mantel. Glamorous Candles on a mantel or hearth to welcome guests and family is part of the exciting decoration. We can add a scent and the tone and mood of the evening. It becomes perfect for quiet conversation, stories of family and relaxing. Along with candles, steel wire framed decorations are very popular that contain the flame in the shape of holiday icons such as trees. Some Floral candle holders simulate pine branches and needles with votives scattered in the branching. Once you select the theme for mantel decoration, you can design branches in gold, silver or black with an array of colors in the votive. Assortments of crystal candle holders are gorgeous for any theme of decor. One of the prominent pieces of Mantel decoration is Mantel Clock. Father Time follows Father Christmas in the holiday season. A Mantel Clock gives the holiday look an air of nobility. The rich rustic wood finishing and gold or silver accents offer a festival backdrop to holiday activities. You can choose a mantel clock with chimes or a song and one can easily make it to holiday appointments or shopping on time. Some clocks offer windows for watching rotating crystal inner workings—making it both charming to listen to or watch. Christmas mantel decorations are the main place of Holiday Decor. You can outfit your fireplace for the holiday season with some of the finest DIY ideas. You could use large hurricane vases filled with beautiful candles, or a garland draped over the mantle. We will share many merry Christmas mantel ideas to spark your holiday imagination. It would be great to add personal touches to your Christmas fireplace decor with photos or ceramic Christmas statues. Do use plenty of red and green for festive mantel decorating, or tone it down with earthy features of artificial pine and cranberries. Getting creative and artistic to decorate your outdoor fireplace is a great fun too! And, definitely don’t forget the holiday stockings. No matter what you decide to use to decorate your mantel for Christmas, we are sure you would love to cozy up to the fireplace with a warm cup of cocoa to celebrate the holiday season. You can amazingly transform your mantel into a focal point using our ideas for easy Christmas decorating. Let us share here how to decorate your mantel with ornaments, evergreens, pine cones, holiday figures, stockings and more.